Shopping for Attack on Titan T-Shirts? Become a member of the prestigious Survey Regiment from Attack on Titan! 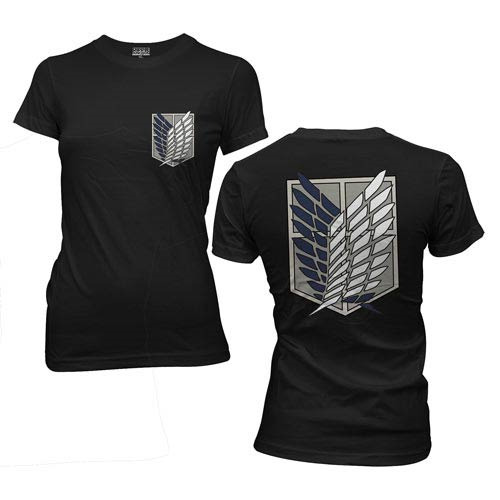 This Attack on Titan Survey Corps Black Juniors T-Shirt features the iconic "Wings of Freedom" emblem that represents the Scout Regiment in the hit Attack on Titan anime and manga series. With a large image of the Scout Corps on the back of the tee and a smaller version on the left breast, this great tee is a must-have for Attack on Titan fans!